Roger Reeves's poems have appeared in journals such as Poetry, Ploughshares, American Poetry Review, Boston Review, and Tin House, among others. Kim Addonizio selected“Kletic of Walt Whitman” for the Best New Poets 2009 anthology. He was awarded a 2013 NEA Fellowship, Ruth Lilly Fellowship by the Poetry Foundation in 2008, two Bread Loaf Scholarships, an Alberta H. Walker Scholarship from the Provincetown Fine Arts Work Center, and two Cave Canem Fellowships. 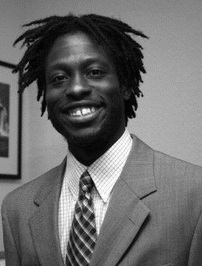 Recently, he earned his Ph.D. at the University of Texas and is currently an assistant professor of poetry at the University of Illinois, Chicago. His first book, King Me, is forthcoming from Copper Canyon Press in October 2013.